You’d be forgiven for thinking Mistral parked their involvement with windsurfing a while back. Yet the recognisable red dot brand has always remained, just bubbling under the surface these last few seasons. 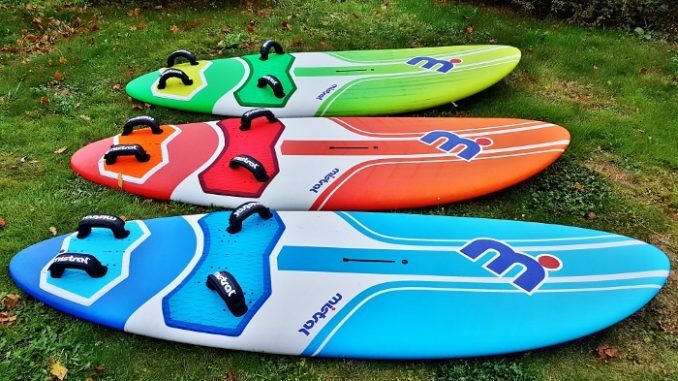 Towards the end of 2018 Mistral announced they were fully back in the game with introduction of their line of Quikslide freeride windsurf boards and Zonda sails (more on those next issue). 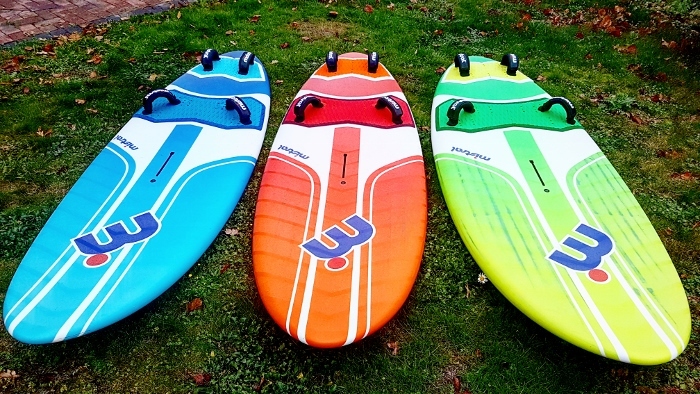 For this test WSUK was delivered the whole shebang of three board sizes – 100L, 110L and 120L to compare. There’s also a 130L in the pipeline but at time of testing/writing this wasn’t available. 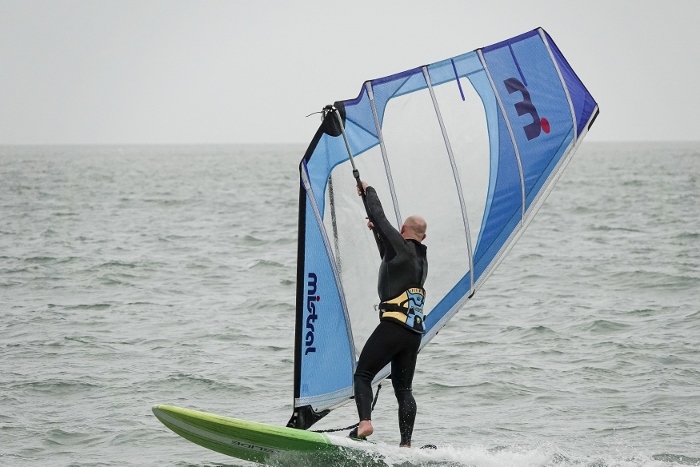 By Mistral’s own admission they’re not looking to reinvent the wheel, merely deliver access to the recreational side of windsurfing and keep things as simple as possible. With the co-operation of Simmer Windsurfing, the new Quikslide windsurf sleds sit firmly in the new school freeride arena. Utilising thin rail/tail, wide egg shape concepts, what you get is a large platform that belies its quoted litreage. As any seasoned windsurfer will know trying to determine a board’s performance by litres alone is folly. With ample sail carrying capacity, each size of Quikslide ekes out the lighter end of its wind band thereby delivering maximum range of use. For instance, the 100L would be perfectly fine with a larger rig yet equally at home with a 5m. Likewise Mistral’s larger 120L Quikslide can happily take an 8M+. The first QS we stepped aboard was the smallest of the lot. During initial forays conditions were moderately breezy with pulses of swell rolling through. Powering up from the get-go the 100L is a nimble and engaging platform that loves to blast full pelt in either direction. Those thin rails bite round corners, slicing through chop to allow super smooth gybing. 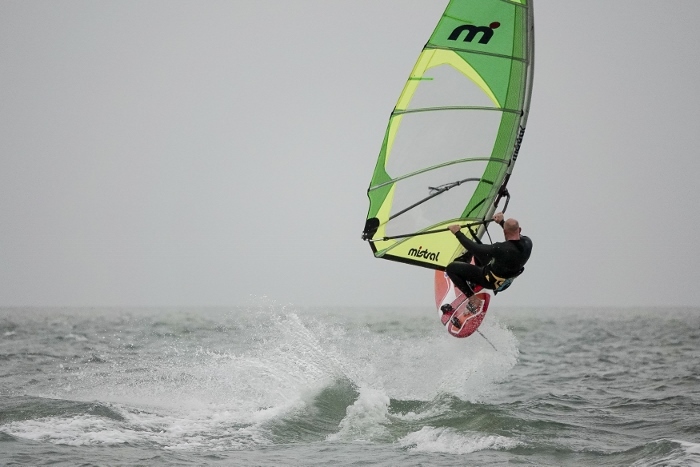 Even with a double back strap set up, it loved being chucked into a lip and rewards sailors with decent aerial boosts. We flung ourselves over the handlebars a few times (why not?) to see how it faired with manoeuvre orientated riding in mind. And the result? No probs! For those with aspirations of wave sailing Mistral’s Quikslide 100L can be tuned by shifting straps inboard. 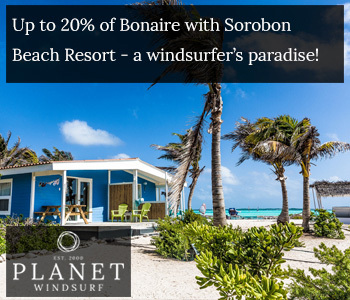 Even though its primary focus is freeride there’s no issue practising those surf sailing fundamentals – another point which highlights the 100L’s versatility. For our money, this was the sweetest size out of all Mistral’s Quikslide boards. 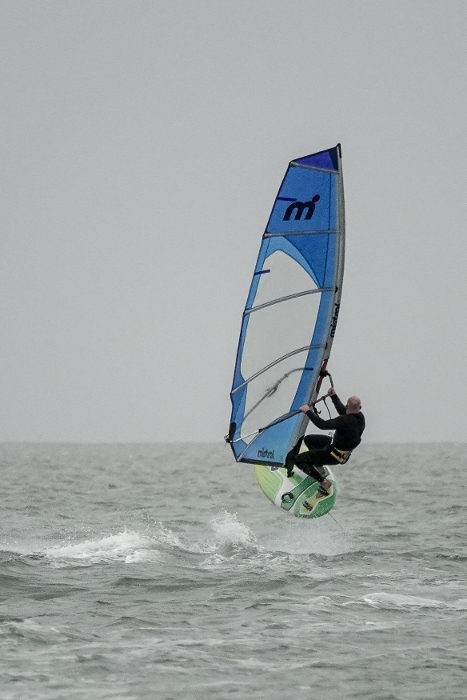 For sure, there’s nowt wrong with any but the 110L offered the most balanced, user-friendliness, performance and all-round appeal for moderate wind strengths (based on the size/preferences of our tester) with 6m-7m sails. Straight out of the starting blocks and the 110L is quick! With blowy weather in the mix, it zooms across the straights with purpose, all the time keeping composure in the face of choppy seas. Should a bump materialise then it’s quite happy to get airborne and if riders should land a little flat then due to its top-shelf construction and ability to ‘breathe’ (flex) – a common trait amongst all Quikslides – hard touchdowns are absorbed without fuss. Round corners those thin (for size of board) rails slice and keep traction forgiving the clumsiest of footwork – as a gybe tutor the 110L is a good choice. Full power back to the beach and riders can pin the Quikslide down thereby taking full advantage of additional puffs. 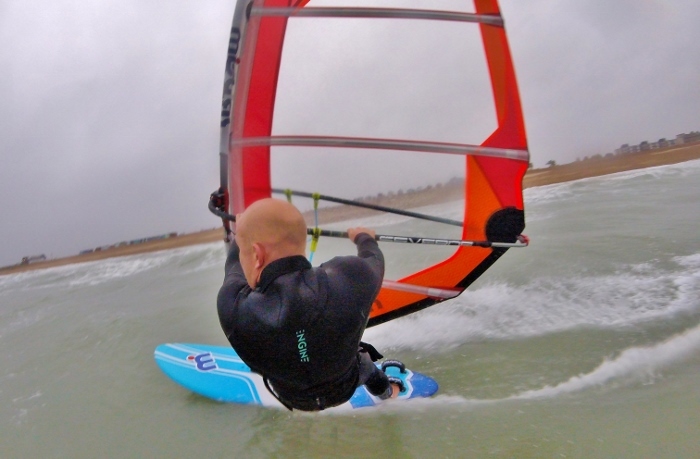 Driving all that oomph into momentum is what engages and will keep windsurfers coming back for more. Even though this is only 120L it appears much bigger – more like a 150L in fact. There’s certainly no shortage of sail carrying capacity and it could easily accommodate a rider’s largest rig. For those bigger boned individuals, or riders wanting a super light air planing vehicle, then this would be the Quikslide to look at. That said, such are the board’s good manners blowier weather is also applicable. As with its smaller siblings, speed is right up there. 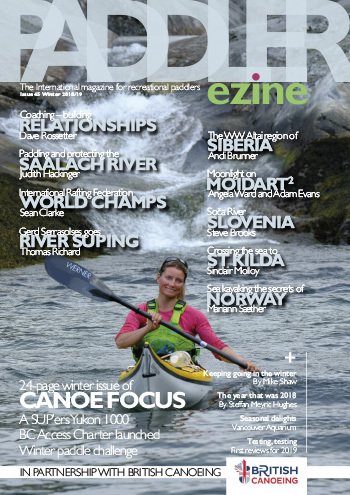 We actually went head to head on a few occasions with the local slalom crew and can happily report the 120L holds its own. Efficiently pinned down, and riding over chop thereby ironing out the ride, Mistral’s 120L Quikslide feels alive and much more dynamic than its width and plan shape would suggest. And, again, as with the 100L and 110L we couldn’t resist seeing if it handled a bit of air time – after all, given the opportunity, other sailors will no doubt try the same. The result? It pops with ease (relative to its dimensions) and allows low altitude flying that’ll put a mile wide smile and all faces. 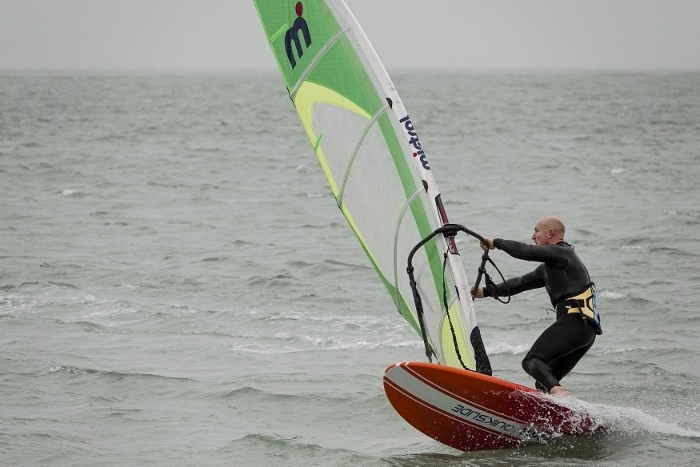 It’s great to see such an iconic brand fully back in the windsurfing mix. 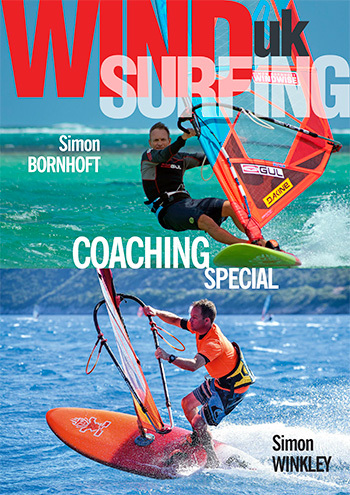 Those of us who often nostalgically look back to windsurfing’s past will recall Mistral’s pedigree within the sport. From ever recognisable images of Robby Naish ripping on early designs to IMCO Olympic sailing and right up to more present-day Mistral boards slaying some of the world’s best wave sailing venues the red dot brand have been there – something which as of 2019 continues. 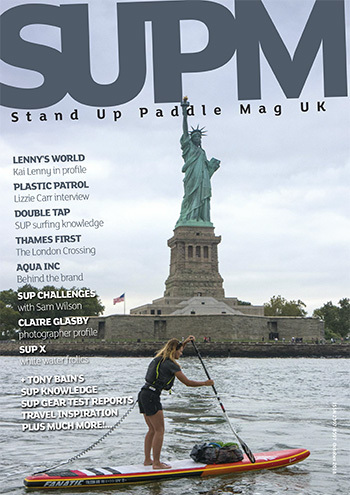 With eyes firmly focused on the freeride, recreational fun end of the spectrum (plus light wind cruising, as can be demonstrated with Mistral’s Freebird and Albatross longboard style sleds – stay tuned for review of those), the big M is setting out its windsurfing stall for the future and recognising that most riders want simple, fun, yet engaging products to make use of real-world windsurfing conditions and get them afloat. Each Quikslide delivers on this front, offering performance across a wide range of spectrums. All you have to do is pick your applicable size (or go all three!). 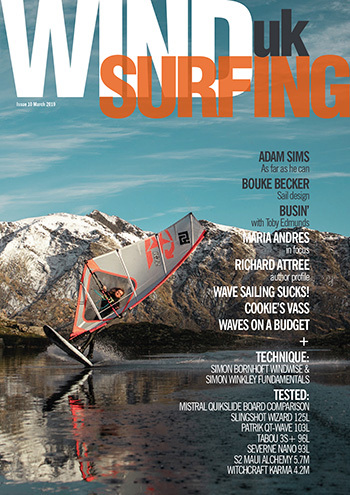 Top drawer manufacturing, fixtures and fittings round off three products that are worthy of your attention if windsurfing fun is what you’re after.